Some of the people who find their way here to my intermittent and idiosyncratic romance/book blog will already be all too familiar with the story behind the book review & blogging blackout that has affected much of my online romance reading community this week. My dear friend in bloggery, Miss Bates, posted a succinctly perfect summary, and there are some very good lengthy analyses, both from within the book blogging community, and from broader online commentary and criticism sites. Late last week a well-connected published YA author wrote, and The Guardian published, a lengthy memoir about her obsession with a negative online review of her book, subsequent research and identification of the psuedonymous reviewer, and her in-person unsolicited interactions with said reviewer. I’m sort of happy to report that until this controversy broke last weekend, I’d never heard of this author, or her apparently well-received debut novel. The bookish corners of the internet and twitter have exploded with the spectacle of an online feud (Salon called it a “battle of the trolls”) between an author and a reader that got taken way way offline into stalker territory. I don’t have much to add to the good summaries I just linked to and it’s a near-meaningless gesture for me to “blackout” Badass Romance for a week. Even at my most prolific, I barely manage a post a week, and lately it’s been barely a post a month. Plus, I don’t actually post very many straightforward book reviews. And here I am finally getting this post up on Friday – ugh, what a week! Still, I want to put this book blog on the record in this matter. I am speaking up to add my voice in saying that as a lifelong reader (and bigtime consumer of the product that we call fiction), it’s not OK with me when authors seek to control reception and interpretation of their published work. If you’re not up to the challenge of either staying away from or putting up with whatever ideas and responses your published prose generates, then you should keep your prose to yourself and not ask people to pay for it. Even if someone is saying really “mean” things about your book, there’s no insisting that they’re wrong or that they “misread” or “misunderstood” — your prose is out in the world and is subject to review, criticism, and interpretation. I do understand that trolls do exist on the internet, but in terms of reviews that “attack” your book, please remember that once your book is published you are no longer in control of the “meaning” of your words. Every time someone reads them, meaning is created in the interaction between reader and text. Sometimes that interaction, or meaning, will be a compelling or profound insight. Sometimes it’s going to be a DNF. Either way, you get paid to put your words out there, and most online reviewers are there for the love of books and reading. If I want to speak/blog/review on condition of anonymity (or psuedonymity), so be it. The leap from twitter or Goodreads pushback against negative reviews to offline, IRL stalking of a so-called “bully” blogger (just to be clear, I think this is an appalling misuse of the term “bully”) is in some ways just an extreme (and illegal) extension of the misguided notion that when you put a product in the marketplace it’s somehow OK for you, as the seller of that product, to confront and harass consumers of your product into liking it, using it, and talking about it, only in ways acceptable to you. Were these authors who want to call reviewers and bloggers “bullies” all just overly helicopter-parented and endlessly “good job!!”-ed?? The behavior enshrined in the author’s memoir last week really does speak to me in some way of arrested development, though I hesitate to use such terms since I am so far from an expert in psychology. The other way to look at the episode, and in particular to look at the case of a serious print and online media outlet that has legitimized the voice of a self-admitted obsessed reader-stalking author and given her a platform for her self-absorbed complaints about the online “bullies” and trolls of Goodreads and other book forums, is to frame it in the concise and terrifically apt words of Danielle Binks, on the writers/writing site Kill Your Darlings, as a case of “privilege feeding narcissim.” And this is the element which I find so insidious and odious that it’s pushed me to stick my toe in the water of the controversy and join in saying #HaleNo by making this post. I have other thoughts about author/reader spaces and authorial control of interpretation (yes, Outlander-related, for those who may be reading between these lines…) but will have to save them for another time since starting now, and for about a week (ETA: well, OK, probably longer), I’m not blogging. I’ve been reading a lot since my late summer vacation gave me the time and space to delve back into longer fiction, non-romance novels, and a broader range of books than I’ve read in several years. I’m reading more, and blogging less. It’s a little ironic, when I think of how I’ve let the blog lapse in spite of all the good “material” about which I could be crafting posts — in contrast to months last year when I was having trouble finding books I really wanted to read, really thinking about my choices and feeling the constant urge to write about the few books I was managing to read. I feel way too rusty to take on a long review post, but here’s a quick peek at 3 books I’ve read since Labor Day that have stayed with me, and made me glad to be reading more widely again. 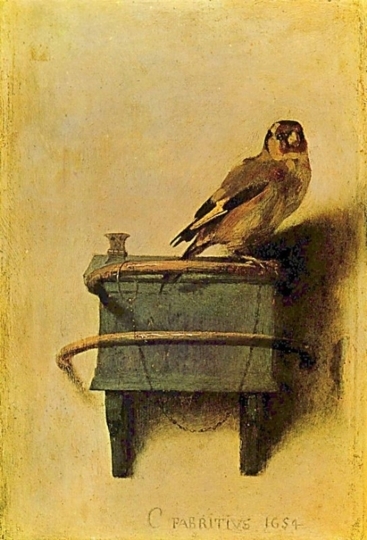 The Goldfinch, by Donna Tartt I agree with Laura Miller’s take on the Dickensian plot-twisty quality of Tartt’s obsessively readable tale. And like her, I was swept up in the novel’s evocation of the magical Manhattan of an earlier, childhood vision – the New York City of my own visits-to-Grandmommy childhood, and the touchstone books Harriet the Spy and From the Mixed Up Files of Mrs. Basil E. Frankweiler. It’s a view of museum-going, antiques-aware, upper middle class privilege that feels dated and old-fashioned, possibly nostalgic for some readers. When Miller interviews Tartt for Salon, the two have an interesting conversation about female protagonists and literary norms related to romance and marriage plots. If I had more of my blogging mojo these days, this would be the part where I spin off to deconstruct their discourse and challenge “literary” assumptions about the role of romance in fiction…. 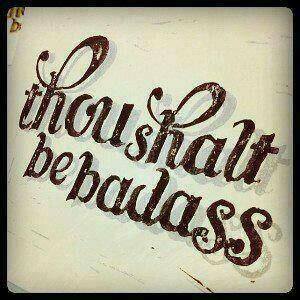 but not today. With regard to this particular book I also really liked the questions Evgenia Peretz asks about it, and about literary vs genre fiction, in her comprehensive and helpful summary of the critical battleground over The Goldfinch for Vanity Fair. I haven’t got much else to say about it — I just enjoyed the chance to sink into a dense (yes, I know some would say overwritten) and thoughtful novel of loss, identity, crime, and art that felt sort of like Mrs. Basil E. Frankweiler meets Breaking Bad. 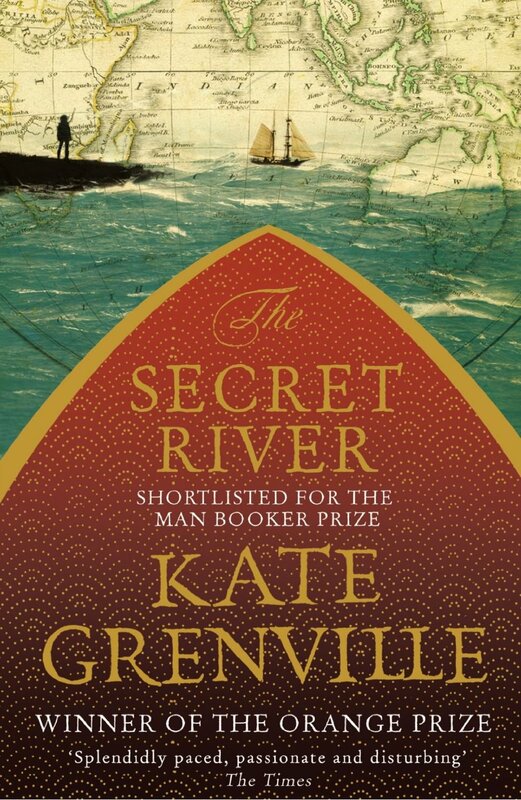 The Secret River, by Kate Grenville To be honest, I found this book at the library after picking up one of its sequels, Sarah Thornhill, because it (the sequel, actually the third book in the loose trilogy) looked a bit like a romance novel. I saw that it was the 3rd book, and went hunting for the 1st. Which turned out to be the award-winning (Commonwealth Prize, Booker finalist) novel of one family’s journey from grinding poverty along the Thames to prosperity and prominence on the banks of the Hawkesbury River in New South Wales, by way of an early (1806) transport via convict ship and a violent massacre, the legacy of which leaves scars on the land and all who come after. Although The Secret River was new to me, it is of course widely read and discussed. To sum up with brevity what this book signifies, there’s not much I can say to add to this brilliantly spare note it received in The New Yorker. The protagonist, William Thornhill, is at once haunted by his own complicity and actions, and determined to carve a life for his family that is recognizable to them, and their contemporaries, according to their limited worldview. The ways in which European customs in attempting to wrest a living from the land are in themselves a violence, and in stark contrast to the fluid ways of the people who lived on the land for centuries before, have seldom been so devastatingly and simply rendered, and I have read many many works of historical fiction set in the North American colonial context where Old and New Worlds also clashed with not-so-secret rivers of blood. In the second book, The Lieutenant, Grenville went back to the exploratory voyage of the First Fleet in 1788 to tell the tale of a William Dawes-like astronomer and linguist and his very different journey, of discovery and friendship – sadly, I foundered reading this book after too many pages and pages of interactions where the protagonist and his Gadigal friends exchanged vocabulary words, and it was a DNF for me. This may have been simply because I did not find the earnest lieutenant as interesting as the morally ambiguous Thornhill. I did return to the Thornhill saga to read the 3rd book, the one that originally caught my eye, and found, again, the story of this family, and the families displaced by this family, much more compelling and emotional. In the end, Sarah Thornhill contained a romance of sorts, but it was a harsh and dispiriting tale that really had no way to offer a happy ending. Perhaps the best that can be said of Sarah and her descendants is that they craft lives around figuring out ways to make the best of a bad history and poor situation. 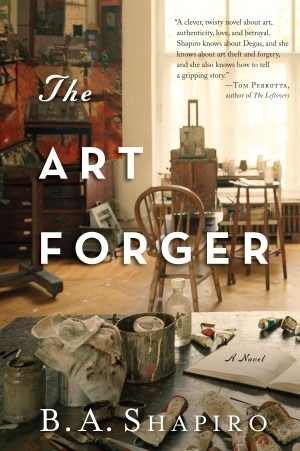 The Art Forger, by B.A. Shapiro I so rarely read contemporary fiction, yet in the wake of The Goldfinch this caught my eye. I was a little worried that it was going to be sort of Goldfinch-lite, maybe a “women’s fiction” version about a plucky artist (forger) and her exploits, but I was sucked in by its explicit use of the Gardner heist at the core of the central mystery. If you live in Boston and/or spend time in art museums, it’s hard not to be a little obsessed about the Gardner heist, particularly if one of the stolen paintings was the subject of a 10-page undergraduate Art History paper you wrote back in the early ’80’s. What I found was indeed “lighter” in many ways than The Goldfinch, but this book offered a more powerful tale of authenticity and falsehood than I expected. For anyone who has visited the Gardner Museum, or speculated about the world’s most notorious art crime, this alternate history of the collection, with its oddly fascinating level of detail about the techniques and history of art forgery, is pretty good reading. At its heart, this is a deftly woven past/present exploration of female creativity, forced choices, and compromise in the male-dominated worlds of contemporary art (the painter protagonist, Claire Roth) and 19th century art collecting (the “scandalous” Isabella Stewart Gardner).